Where you place your horizon in an illustration can make all the difference to the emotional impact of your image. Whole visual narratives can be told through horizon placement alone. This blog show some of the ways this has been done. Clouds can make a massive difference to the emotion of an illustration. This blog post tells you how NC Wyeth did it. how we do worship thee. There are people who love endpapers, and I might be one of them. I have been known to take all my picture books off their shelves, open them to the front endpaper and spread them across the floor. What a feast for the eye! The bolder and brighter is often the better when it comes to floor covering, but when it comes to endpapers in individual books, you can't go past clever, subtle, elegant, moody and evocative. Technically, the humble and unsung endpaper has a single structural role - to hold the book onto its cover. But being functional doesn't prevent the endpaper from also being a thing of narrative beauty. Or even of beauty for its own sake, regardless of narrative. 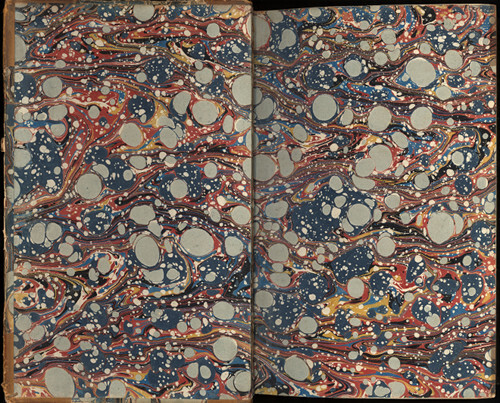 Think of those marvellous marbled endpapers of yore, works of art that gave the reader a moment of aesthetic awe before he or she entered the greater marvels of the book itself. The occasional marbled endpaper notwithstanding, in the past (and also in the present) a great majority of books tend to stick with plain endpapers of a sturdy nature and simply ask them to do their job and not draw attention to themselves. ... where we see the endpapers giving a rundown of the characters the reader might expect to encounter, as well as the general tone and mood of the book (in this case, a little bit whimsical but also perfectly serious from a young person's point of view). A couple of decades later, another publisher took much the same approach with that irrefutable classic A Hole Is to Dig. What else could we possibly expect from this book but the joyousness of unfettered reason. And that was just the beginning. Leaping boldly into the 70s and early 80s, we find Charles Keeping using endpapers to set a physical scene as well as a mood. A brick wall in Willies' Fire Engine suggests the physically oppressive slums where Willy lives and counterpoints the freedom of Willy's dreams. The crocheted lace curtains of Through the Window are the prism through which Jacob observes the danger of the working-class street below, a kind of lace armour - both delicate and strong - that shields him emotionally from the full drama of escaped draught horses and a dead dog. 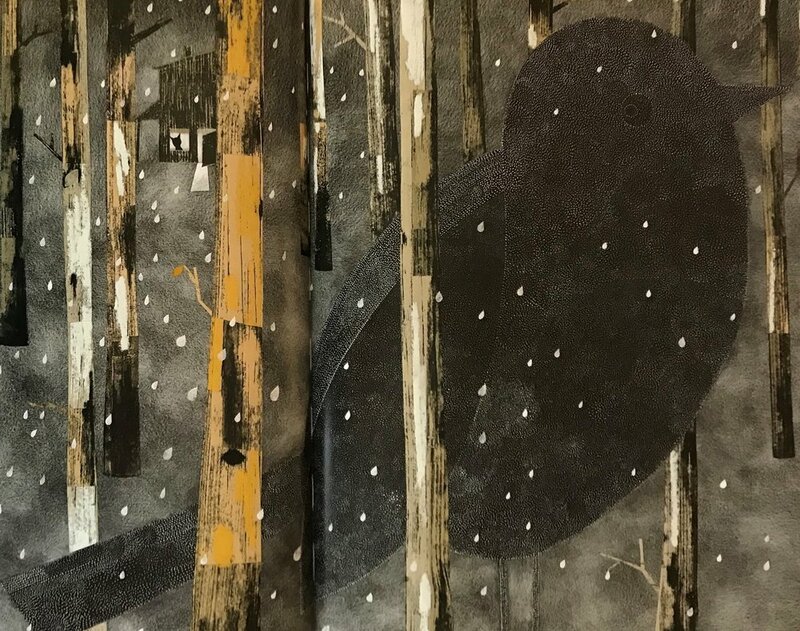 Gaye Chapman's front endpaper for Little Blue carries the reader through successive seasons, suggesting the even longer passage of time that is so important to the meaning of this story, where a boy discovers a shard of crockery that links past with present. And how boldly Gaye places that central tree across the gutter, co-opting that dreaded ditch into a narrative force. Then there are those even more overt signifiers of place that are such fun to pore over, those endpapers that are detailed maps of where the story happens. How often have we flipped back and forth between story and map, tracing with sticky fingertips where characters crossed this field, visited that friend, or ran away from the other dog? Recent editions of Milly Molly Mandy by Joyce Lankester Brisley turn maps, originally placed within the folio proper, into functional endpapers as well as sources of curiosity and exploration. 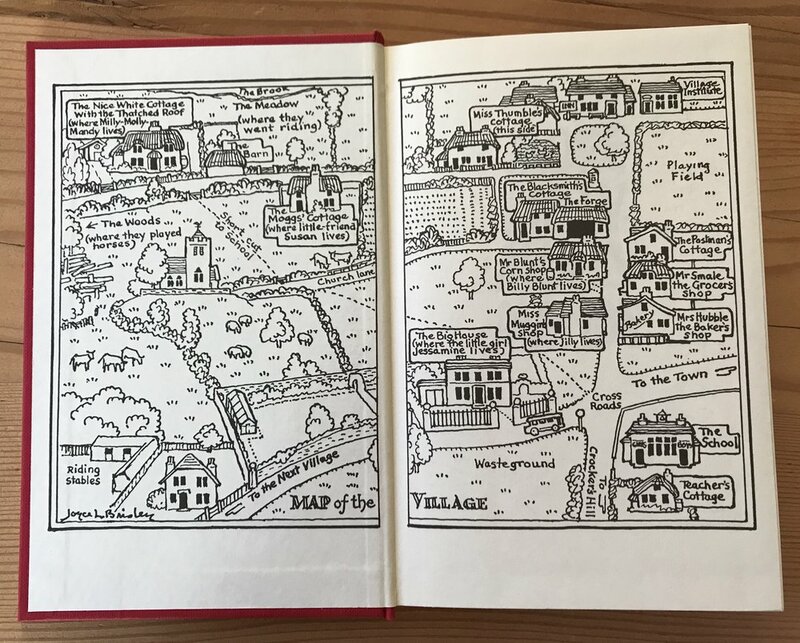 Joyce Lankester Brisley's map of the village in Milly-Molly-Mandy, used as endpapers in the 1997 Kingfisher edition. 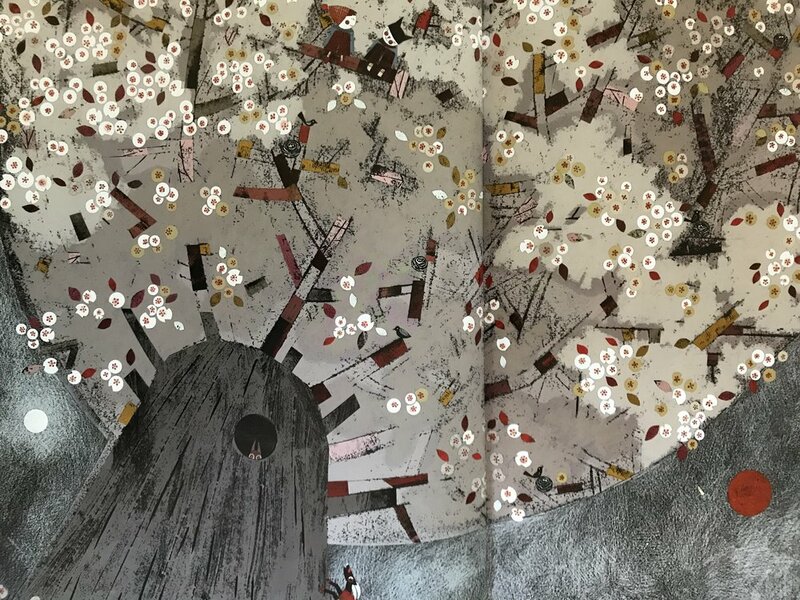 Freya Blackwood, another tireless experimenter with endpaper innovation, labours to give her endpapers meaning, mood and drama, so that in the shamelessly charming village-map endpapers of The Cleo Stories, every house, garden, park, school yard and shop contains its own tiny narrative. And so I close with the refrain ... O Lowly Endpaper, how we do worship thee! Bigger is better? Nope! The larger it looms, the more impact it has? Not necessarily. The louder it bellows the more exciting it must be? Probably the exact opposite. Let's not be fooled by largeness or loudness, wherever we may be looking. The most dramatic things often come in tiny packages, and that includes drama in narrative illustration. In this post I ponder favourite illustrations that say a LOT by saying very LITTLE. To be more precise, illustrations that say a lot about the main character, without giving that character much real estate on the page, if any at all. Look at the two young people in Nathalie Minne's picture above (yes, indeed, I may have mentioned this book before, and I may well mention it again because it's brilliant). There they are, those two little boys, revelling in the blossomy beauty of springtime, perched high on a twig and themselves so twig-like in size, shape and colour that they are almost invisible. And yet, thanks to Minne's mastery, we feel a surge of the same joyous wonder they are feeling, and perhaps almost imagine a whiff of the same springtime scent they are sniffing, and feel the tickle on our cheeks of the same whisper-soft petals. We don't need a nice big smiley face suggesting in a nice big obvious way that SPRING IS FUN AND BLOSSOMS SMELL GOOD. We get that the boys love spring because Minne has found a way for us to feel the subtle and multi-layered wonder of it for ourselves. I examined C'era una volta una bambina very closely for a thesis I wrote a couple of years ago (it is the story of Little Red Riding Hood, told in the most novel and unusual and gritty way possible - I could ramble on forever about the brilliantly innovative text), but I didn't see what I was SUPPOSED to see in this picture for quite some time. My attention was repeatedly drawn to the village of little scattered houses, to the couple of miniscule figures and tiny dogs going about their distant business, and to the lone cottage at top left, which I supposed might have been where the grandmother lived, maybe, but not sure, and was therefore amusing to wonder about. It was pleasant picture, all in all, a bit of a scene-setter telling us, 'Well, look, here is the charming village where Red Riding Hood lives, and here is her grandmother's house, maybe, and if you turn the page the story might get more interesting'. But WAAHHH!! What is THAT!? Suddenly the picture is EXTREMELY interesting. Because suddenly I see two pricked ears at the bottom of the page. Suddenly the mood changes from charming to ominous. Suddenly the village is UNDER SURVEILLANCE. Not by me, the mildly curious reader mapping an imaginary path between the trees, but by a wolf: a wolf watching the village far below, ever-so quietly, calmly, alertly, and with ever-such quiet INTENT. Just two pointy ears amongst a forest of pointy trees. But what delicious MENACE there is in that Almost-Invisibleness! The sleepy village is no longer a haven, but a trap. Someone is watching, someone is keeping track of what they do and where they go, someone will know the minute a certain person leaves the house. All our most paranoid fears are encapsulated in those two tiny triangular shapes at the bottom of a large and otherwise benign landscape. The take-away lesson? Fear in a handful of dust, as TS Eliot promised. There is nothing like suspense for getting the heart-rate up. When this image was shown in an exhibition I curated in 2016 (Scapes: The Sublime in Narrative Illustration), it was everyone's favourite, from the completely young to the completely venerable. As one person said, 'I love it. Because I hate it'. We don't know what is going to happen, but we DO know whatever happens will not be pretty. And how has Rovina done this? By making the characters small, small, small. By facing them away from us, the viewers, which makes them seem doubly vulnerable because we can't communicate with them. By making that hut so small and in such imminent danger that it is impossible for it to suggest refuge, and yet our subconscious minds shout 'Quick, run inside and shut the door, because it is a HOUSE, and houses are SAFE!' ... and yet this action would be palpably disastrous. And, of course, by hiding a pack of wolves and some nasty, beaky, squawking, pecky birds in the trees, and by there actually being absolutely no trees at all, whatsoever, anywhere. Ambiguity and dissonance abound ... danger lurks where safety should be, threat where there should be refuge ... and that is why everyone loves this image, and love it because they hate it. Matt Ottley is a master of illustrative drama. Scale, proportion, contrast and point of view are his specialties, and he manipulates them so expertly that his artworks draw us in and almost overwhelms us. That little speck on the left-hand page is not a crumb from my breakfast. It is a boy in his boat. What could be more dramatic than this minisculeness counterpoised against vastnesses of endless ocean and sky? Sometimes, when it comes to suggesting the bleak, the ghastly and the harrowing, it works best not to show people at all. Landscape wields enormous emotional power, far more than we give it credit for, and a picture of unpeopled landscape - good or bad, happy or sad - can pack more narrative punch in a picture book than any number of emoting faces. 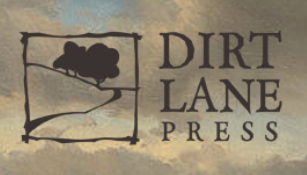 Showing nothing but landscape shoots primal darts straight to the subconscious heart of the reader, and it takes a wise and masterful illustrator to know exactly how and when to do this. Just quickly ... because we must all be getting weary by now ... here is a flashback to the middle of last century and one of the GREAT illustrators of the time, Charles Keeping. His illustrations were everywhere: historical novels, contemporary picture books, illustrated classics. Now his legacy has vanished, but he could DRAW! And he could draw DRAMA. I'm not showing you his proper gory drama here (he did good gore, with blood coming out of necks and everything), but his quiet drama: the stately, measured drama of passing centuries, and the stately, measured drama of a river, which sometimes you see, and mostly you do not. This drama unfolds in a wordless picture-book called River, but it is less about the river itself and more about the drama of the people who live, work, suffer, enjoy, build and destroy their way through the centuries on the river's bank. The story is about progress, development and change, and about continuity. And here is the river as we find it later in the book ... not there at all, but quietly present, nonetheless, on the far side of that impenetrable brick wall. What genius, to evoke the majesty of an eternal river, simply by not drawing it. Whenever I want to play with the power of illustration to give me the feelies, I look at picture books in a language I don't understand. That way, I'm not distracted by what the words want to tell me, and am able to wallow unimpeded in the waves of feeling the pictures inspire. 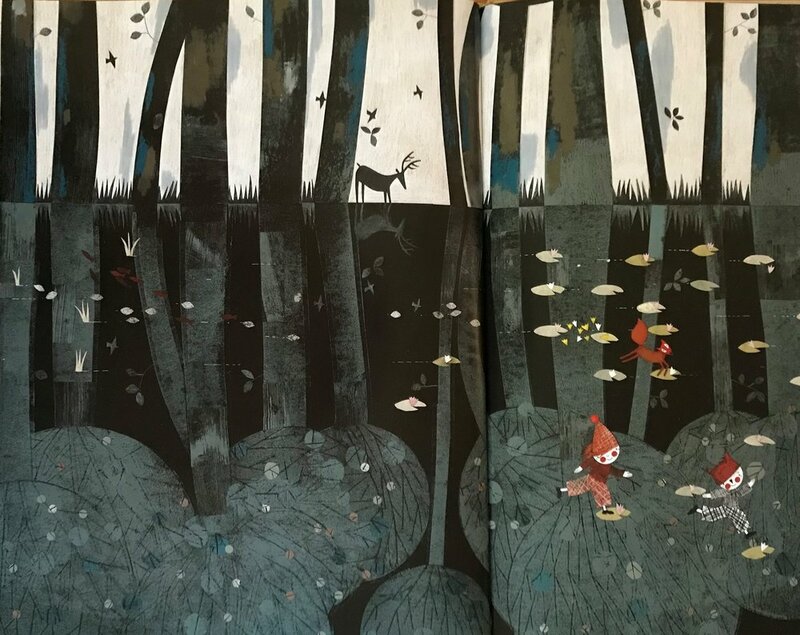 I look at Nathalie Minne's Le Petit Garcon de la Foret again and again (in fact, I keep it kind of handy for easy access) for exactly this reason, and also for the added joy of marvelling at the evergreen ability of her illustrations to move me in every which way, over and over. How Does She Do It To Me? Minne's illustrations seem simple. They are geometric and abstracted, she uses a limited palette, and the characters and landscapes have a stiffness about them that could spell disaster in terms of being emotionally (academic-term alert) salient. But they are not a disaster. Far from it. Then, immediately afterwards, a very different wilderness feeling ... that scary-safe feeling of being out in the wilderness at night, insignificantly small amongst the looming forest trees, frighteningly tiny against the dark night sky, and yet vaguely safe in the company of a trusty guardian (in this case a goat). This picture (above) is one of the most reposted images from the book. It is possibly easy to see why: it looks fabulous, and it feels fabulous. But because I am me, I'm not content to rest with that. I have to work our WHY I love it so much, and why people keep pinning it and posting it and sharing it. Actually, I'm pretty convinced it IS a brain-science thing. I mean, what else could it be? According to the brain science I subscribe to - the neuroscience of evolved aesthetic reception (hah! such a fancy-nancy!) - the thing that grabs us by the viscerals in this picture is the composition, but especially the TONAL COMPOSITION. THE TOP BAND: equal bands of dark and bright, stately and elegant and safe, a stateliness enhanced by the stillness of the deer, by the heavy tree trunks rising crownless beyond the top of the page, a stateliness jittered only by a few tiny darting birds. This is a tonal composition known as intermediate major key (equal parts dark and light, highly contrasted). It is said to evoke a sense of non-threat, is perhaps even boring, except it isn't. Compositionally, it is all about stripes and patterns. Steady, repetitive, reassuring stripes. THE MIDDLE BAND: dark on darker, deep on deeper. The tree trunks, the deer, the birds reflected against what seems to me the deepest, darkest forest pond imaginable. It looks like it goes down forever, because we can see entire trees reflected in it, all the way to their crowns. I don't care that there are grasses and lilies growing out of the water, suggesting it is not so very deep after all ... my insides tell me it is DEADLY deep, and DEADLY dark, and DEADLY dangerous ... and if Minne wanted to make us feel it was less dramatic, she would have painted it differently. This band is mostly in a low minor key, in dark tones with muted contrasts, said to evoke feelings of ominousness, eeriness, gloom, mystery ... except for those splashes of brightness that are lilies and leaves. Compositionally, more stripes. Steady and reassuring. A composite band, layering in the danger and the safety, messing with our heads, dissonant and ambiguous. THE BOTTOM BAND: this band is all about circles: round reflected treetops, round flowers. And a kind of steady, steely, almost-mid-tone, neither here not there, it is placid, plain, uncritical. Even if it IS in fact a deadly deep pond. And even if those children and their squirrel friend ARE leaping across the deep dark water with nothing but the occasional lily-pad to step on. More dissonance, more ambiguity, more messing with our insides. And we don't even know what the story is about! Quality illustrations like these lay a powerful foundation to any story. Whatever the story, we, as readers and viewers, cannot help but be influenced by the way these pictures have manipulated so many of our feelings in so many combined, layered and ambiguous ways. No picture-book story can ever be just about the words and what they set out to convey. Picture books are much, much more about the illustrations, and the greater the illustrations, the more mind-blowing and memorable the book. I'm recklessly cutting right to the chase here. I'm jumping in with a bold proclamation and a hands-on experiment that may seem super-obvious to you, but that pretty much underscores anything and everything I will ever say about quality picture-books. How do clouds impact emotion in picture-book illustrations?